The film features stars Sheila Hancock and Kevin Guthrie. A new film that is a “love letter to Scotland” could trigger a wave of senior climbers tackling some of the north’s, boosting tourism in the process. The film called Edie is about a widowed octogenarian, played by Sheila Hancock, attempting to climb Sutherland’s iconic Suilven. 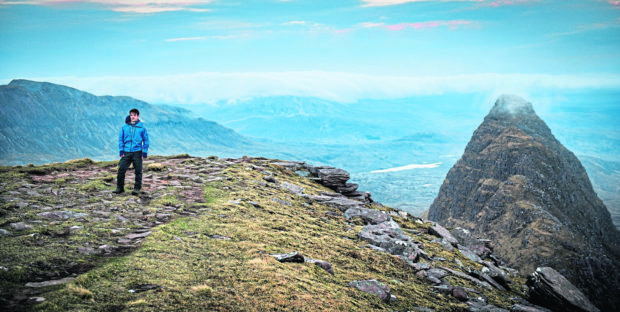 Tourist chiefs have partnered with the distributors to promote both the film and Scotland’s outdoor pursuits. Their excitement stems from its potential to trigger another version of the “Outlander effect” – this time targeting the over 60s. Each year thousands of people are drawn to areas where TV series or films was set or shot for what is known as “set jetting”. New figures from the latest Great Britain Day Visitor Survey showed that people took 34.6 million day trips in Scotland in 2017. The VisitScotland website got more than 670,000 hits views a year related to walking or climbing last year and the tourist body estimates that it is worth up to £1.26 billion annually to the Scottish economy. Given the film concerns an 83 year old widow the demographics show that far from outdoor pursuits being for the young the opposite is true. Walking is most popular with those aged 55-64 while those aged 65 and over make up 12% of those taking part in a long walk, hike or ramble. Culture Secretary Fiona Hyslop welcomed the release and its potential impact on local tourism. She said: “Outdoor pursuits like walking are already one of the main reasons tourists visit Scotland. The film’s director, Simon Hunter, said: “Edie was always my love letter to Scotland, to the weather and heather, the mountains and waves. Jenni Steele, Film and Creative Industries Manager at VisitScotland, said: “Sutherland is a beautiful part of Scotland and all its magnificence is up there on-screen in Edie. “Films shot in Scotland not only boost the local economy during production but provide a shop window for the country’s amazing landscapes.